Penelope on arrival, I estimate her at less than 3 days old. 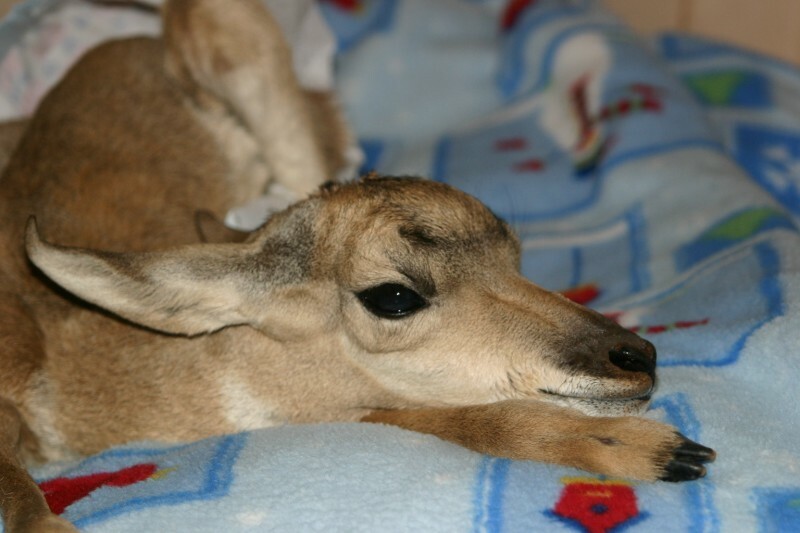 If you find an "orphan" deer or antelope you should leave it be as the mother is often nearby. This little girl was in trouble though and needed help.